Connecting Buying & Selling Cattle Together. BeefTrader.com, a better way to buy and sell cattle. Welcome to Beef Trader, your number one, online resource for buying and trading cattle. At Beef Trader, we believe that you shouldn't have to wait for an auction to trade or buy great, new cattle. That's why we created this easy-to-use, web tool for buying and trading cattle-- we wanted to give those serious about cattle farming an advantage. Listing cattle on Beef Trader means having the ability to market your cattle to anyone around the country, 24 hours a day, 365 days a year. This means more time, more exposure and more buyers—all without leaving the farm! Register today to get started, or schedule a visit with a Beef Trader representative. Buying cattle from Beef Traders gives buyers lots of options to purchase cattle, on your time.. As a buyer, you can use your computer or smart phone to review the lot… and narrow your search based on lot size, weight, region, and health protocol. You can even see how the calves were raised, and inspect the lot right on-line. Get a fair and consistent way to buy cattle any time, and anywhere… with Beef Traders web based app. Listing your cattle has never been easier with Beef Trader. 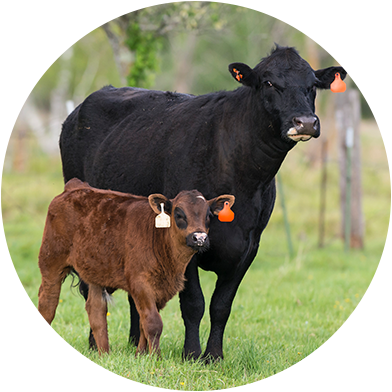 Using our convenient, web based app, your the farmer and/or rancher can list your cattle, set your price, review and select offers and even negotiate prices and conditions for selling your cattle-- without even leaving the farm. Email us below or call and schedule a visit with a Beef Trader representative. Thank you for contacting Beef Trader!